Good morning! Gloria with you again today! 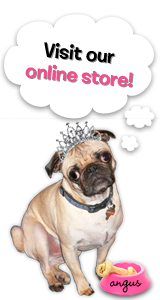 I had fun as the June Guest Designer here at The Rubber Cafe! This is my last post, but I hope they invite me back again! I have one more card to share, using June's Creative Cafe Kit, Let's Hear it for the Boys! I created a "blank" card that is perfect for birthday or Father's Day, or any other "manly" occasion. 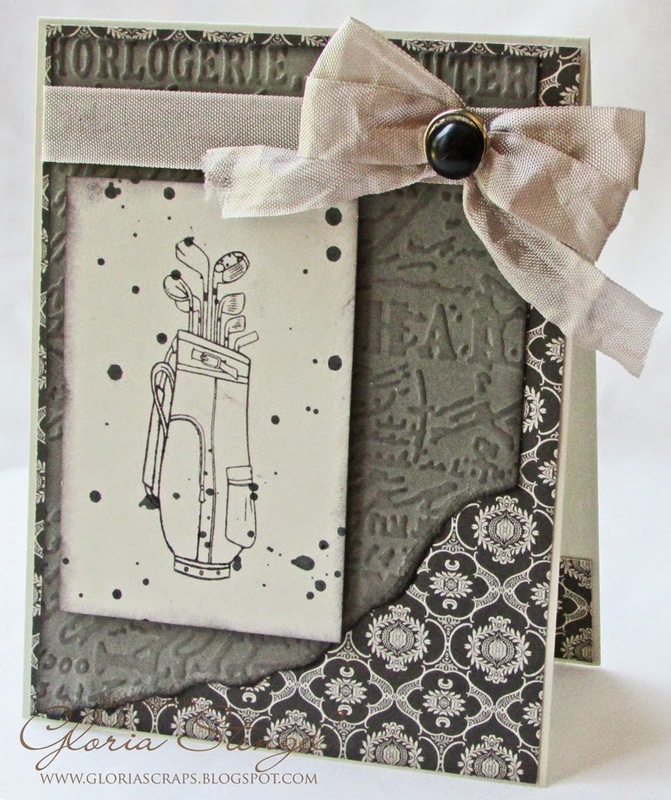 Make a 5 1/2 x 4 1/4 inch, top fold card from the light gray cardstock. Trim the decorative paper from the Echo Park Getaway 6 x 6 pad (from the kit) to 5 3/8 x 4 1/8 inches, set aside. 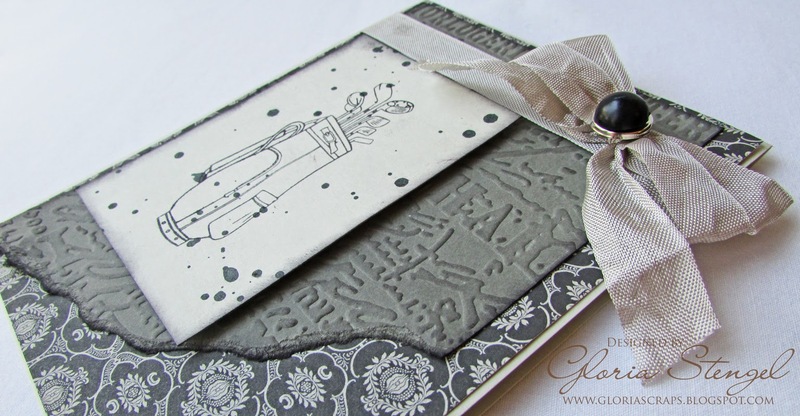 Trim dark gray cardstock to 5 1/4 x 4 inches and emboss with an embossing folder. Tear the paper at an angle as shown. Rub the surface and edges of the paper with black ink and attach it to the decorative paper. Wrap the gray seam binding (from the kit) around the top of the embossed panel and attach the panel to the card front. Add a decorative brad to the center of the bow. 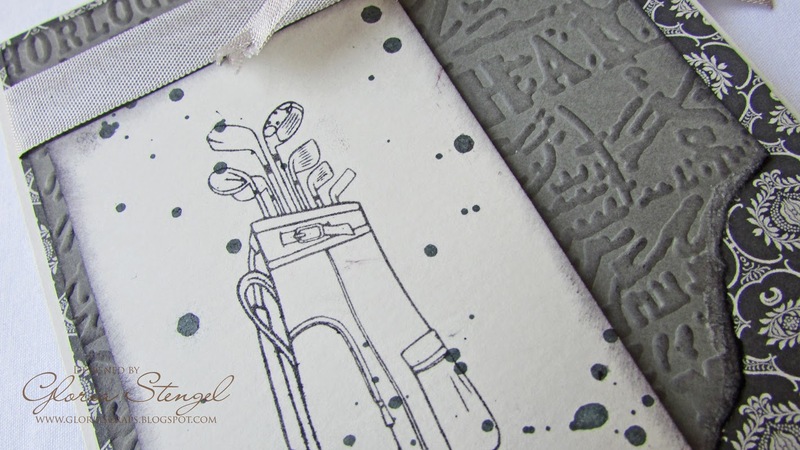 Stamp the golf bag onto light gray cardstock with black ink. Using black spray mist, splatter some dots of mist over the top of the stamped image. Trim the image to size and rub the edges with black ink. Attach the image to the left side of the card with foam tape. This is gorgeous and masculine all at the same time! Thanks so much for joining us this month Gloria!